LONDON — The bonds between Europe and North America are under strain and there’s no guarantee the trans-Atlantic partnership will survive, the head of NATO warned Thursday. NATO Secretary General Jens Stoltenberg called for an effort to shore up the military alliance amid the divisions between Europe and the United States over trade, climate change and the Iran nuclear deal. NATO has been shaken by U.S. President Donald Trump’s “America First” stance and mistrust of international institutions. Trump once called NATO obsolete and has repeatedly berated other members of the 29-nation alliance of failing to spend enough on defense. Stoltenberg said the world faced “the most unpredictable security environment in a generation” due to terrorism, proliferating weapons of mass destruction, cyberattacks and an assertive Russia. “We must continue to protect our multilateral institutions like NATO, and we must continue to stand up for the international rules-based order,” he said. After meeting Prime Minister Theresa May in Downing St., Stoltenberg praised Britain, one of a minority of NATO countries to meet a target of spending 2 percent of GDP on defense. He said that despite differences between the U.S. and Europe, NATO delivered “trans-Atlantic unity” every day. “We have had differences before, and the lesson of history is that we overcome these differences every time,” Stoltenberg said. Some European officials worry the Trump administration is cool on efforts to hold Russia to account for misdeeds including election meddling and the nerve-agent poisoning of former spy Sergei Skripal in England, which the U.K. blames on Moscow. NATO on Tuesday joined a wave of countries and groups expelling Russian diplomats over the nerve-agent attack on a former spy in Britain. Russia denounced the actions as “boorish” and pledged to retaliate. At a G-7 summit this month, Trump suggested that Russia should be readmitted to the group of industrial powers, from which it was expelled over its annexation of Crimea in 2014. Some U.S. allies are concerned by reports that Trump plans to meet Russian President Vladimir Putin when the American leader travels to Europe for the NATO summit next month. 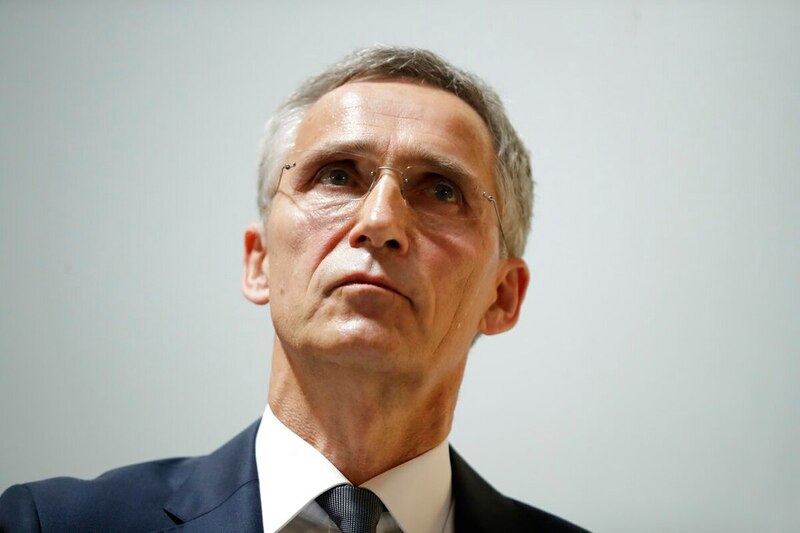 But Stoltenberg said meeting Putin does not contradict NATO policies.